This happened one night a few months ago, after we put the kids to bed. My wife and I were in the office talking, and we heard our younger son wake up, kind of making little noises. Sometimes he talks in his sleep, we figured he'd fall back asleep or whatever, but we kept hearing little whimpers. Figuring he was having a bad dream, my wife said, "let's go get him". She got up and went to his room and then I hear her say, "Where is he?!". I get up and go to his room, and he's not there - we turn on the lights, he's gone. Then, from downstairs, we hear him start full on crying. It's pitch black down there, and he always comes to our bedroom if he wakes up in the middle of the night. Why would he go downstairs? My wife goes down and gets him and brings him back upstairs. 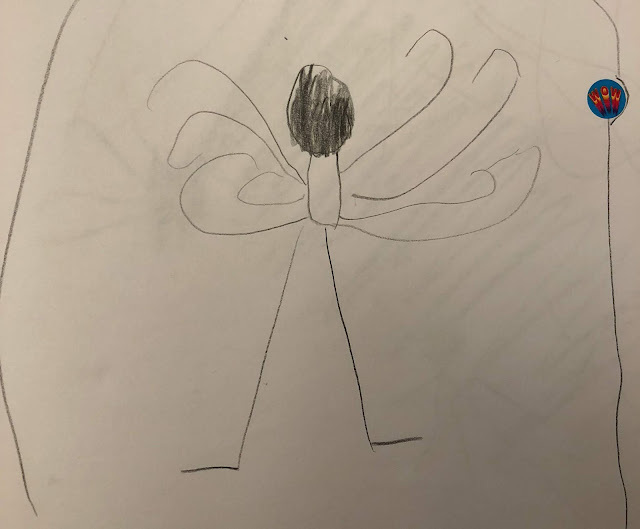 So a few days later, he comes home from summer camp with his book of drawings and I see this drawing. I ask him what it is, and he says, "slenderman". I ask why he drew slenderman, and he says "I don't know, I just did, I had to draw him, I don't want to talk about it." 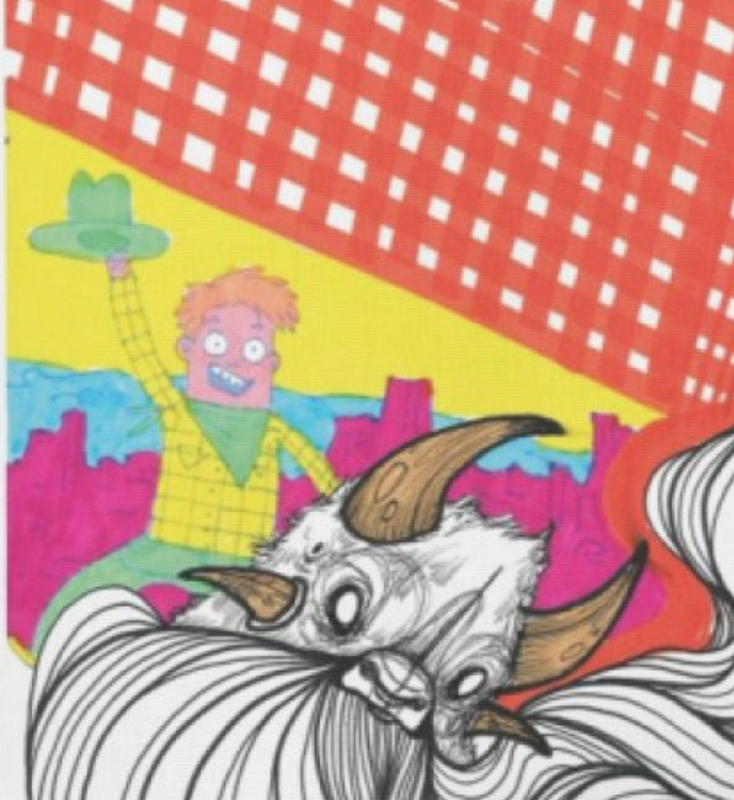 I don't know how he would even know about the slenderman myth, or why he would draw slenderman. SO CREEPY. I'm sure there's a perfectly logical explanation for all of this though. Happy Halloween! I'm getting ready for my Lucy & Andy 3 tour, which will include stops in Seattle, San Francisco, and Minneapolis. 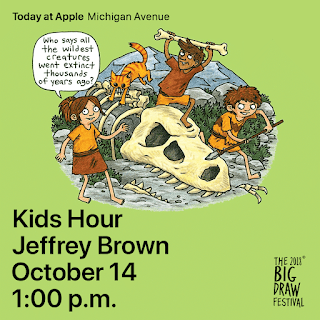 But first, this coming Sunday I'll be at the Apple Store on Michigan Ave in Chicago, drawing cave kids on an iPad as part of The 2018 Big Draw Festival. 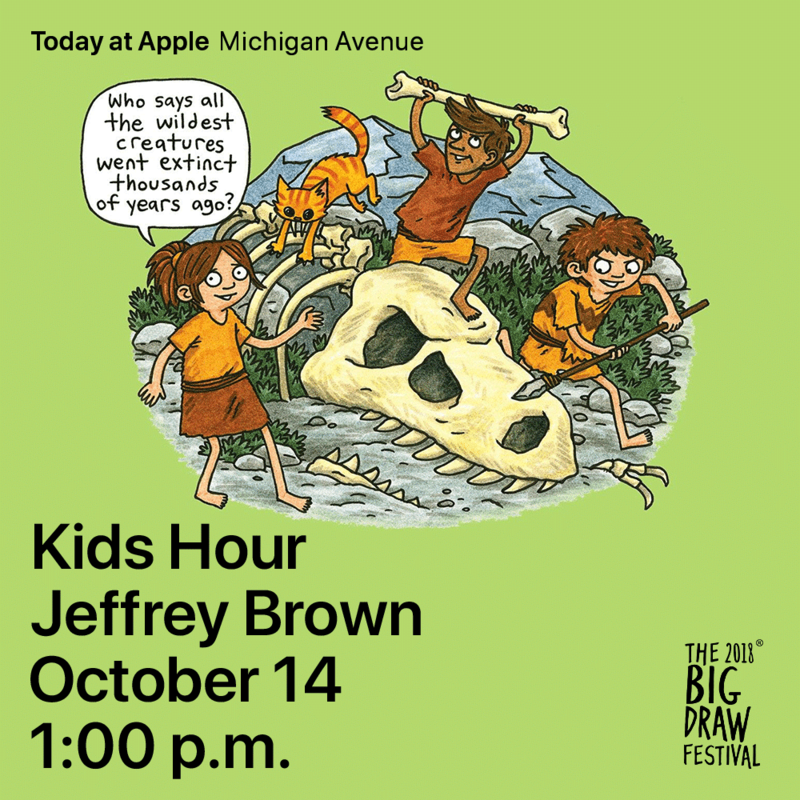 The event is free, but you can RSVP now online. One of the big dividing lines for my career is pre- and post- Star Wars. A few days ago, I did an interview for the One Thought podcast, covering both periods. 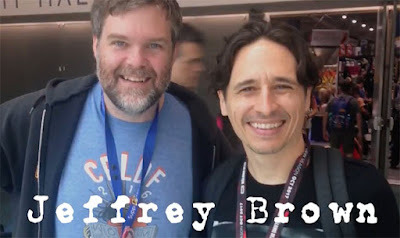 And although it was just posted recently, back before my Star Wars books started coming out, I recorded this interview with my friend and fellow struggling cartoonist Chris Wisnia. For the record, I hate hearing myself talk, but hopefully you don't. 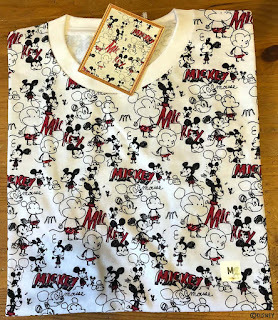 When I was invited to participate with some Mickey Mouse designs for UNIQLO’s Magic For All shirt series, I thought it would be a ton of fun, since I had really enjoyed working on the Star Wars T-Shirt Grand Prix with UNIQLO a few years ago. 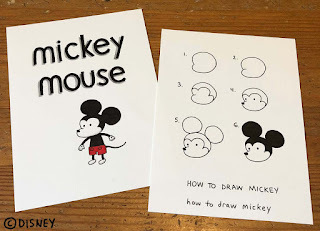 Of course, it’s not so simple as just drawing Mickey Mouse; first I had to figure out how I draw Mickey Mouse, and that meant figuring out exactly what my relationship with mickey Mouse is. So I started just doodling Mickeys, and thinking about Mickey specifically, and Disney in general. My oldest brother is a big Disney fan, and that led me to remembering how I grew up with my family always watching “The Wonderful World of Disney” on Sundays. And magic is a really great word for that memory - for me, childhood was kind of magical, and Mickey Mouse always captured that so well, that sense of wonder at the world, curiosity, maybe even a little naivete. 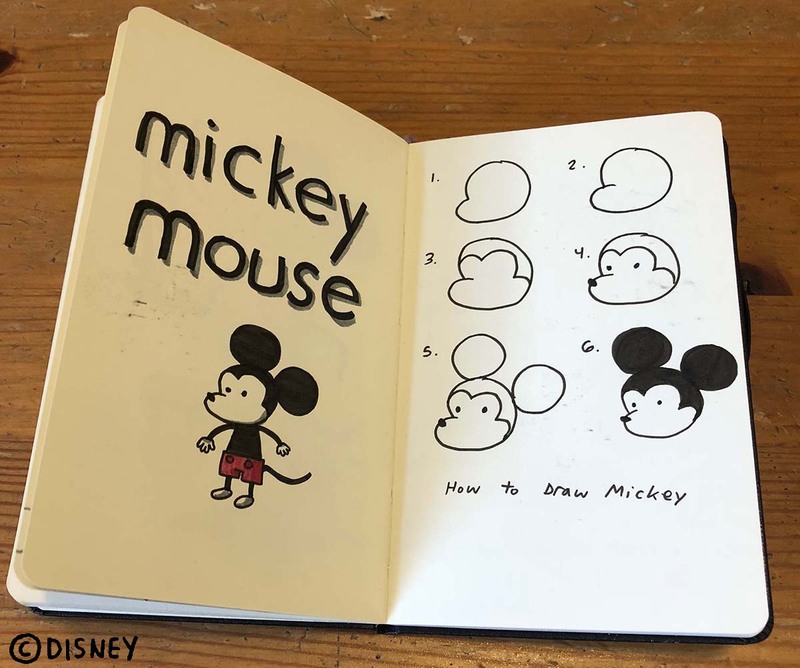 I eventually landed on a version of Mickey that felt right, something cute and innocent feeling. I tried to tap into those nostalgic feelings I had and started drawing more Mickeys - Mickey walking through forest, playing with a toy steamboat, kicking a soccer ball. 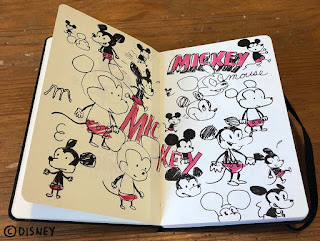 I filled a sketchbook with fifty or sixty ideas, and sent them to UNIQLO and DISNEY to pick from. The designers came up with four shirts, including one based on the little ‘How To Draw Mickey’ sketch I had made for myself. 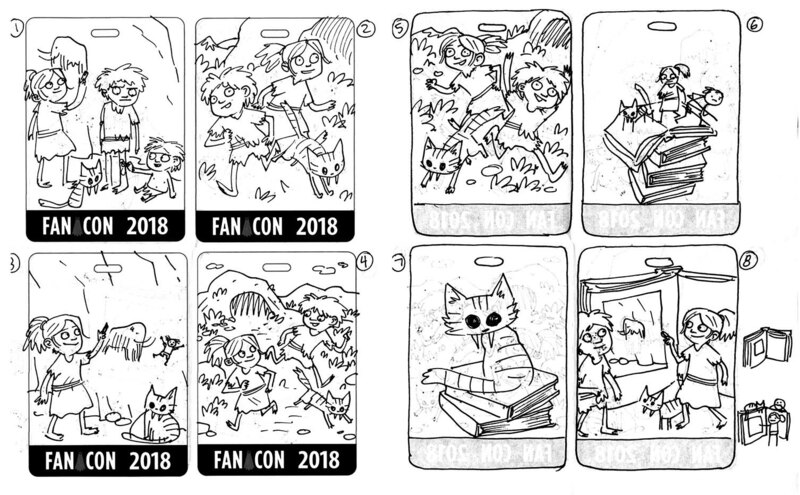 I re-drew cleaned up, nicer versions of the design on Bristol board. 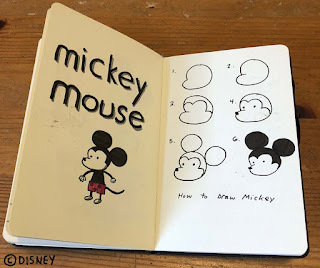 The most unexpected design they came up with was actually taken from those first Mickey sketches. 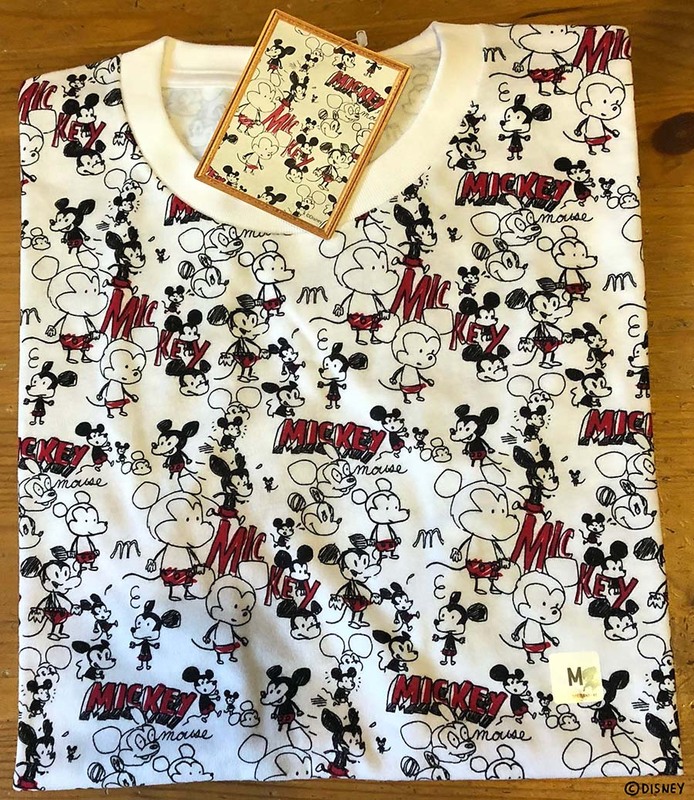 Which seems really appropriate and great, that even as long as Mickey has been around (and in my life), there can still be some surprises from him. 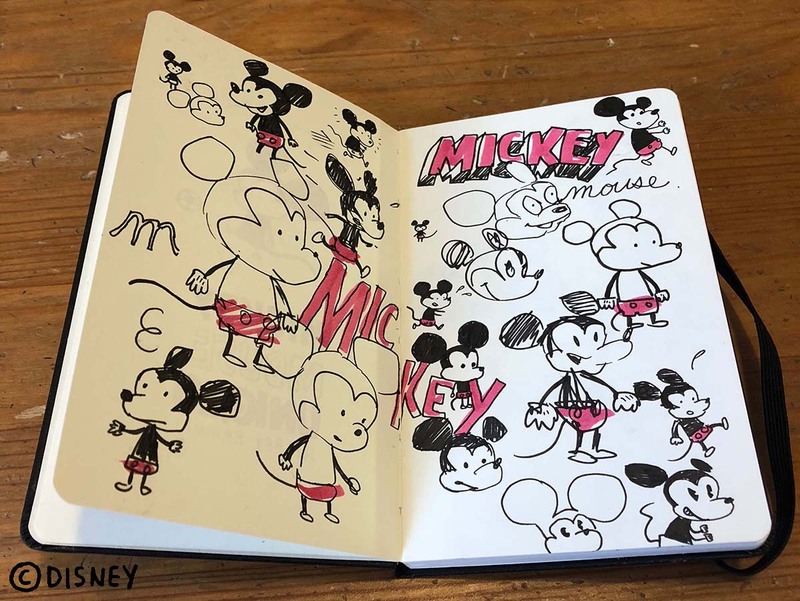 These sketches were all drawn for the @UNIQLO MICKEY ART collection, available now in stores and online globally. *UPDATE May 29* My cover is up for auction now to benefit the Hero Initiative, alongside a sketch cover by one of my all time favorite comic book artists Walter Simonson! The Hero Initiative has been doing their 100 Cover projects for a while, where they have artists sketch on the blank cover variants of comics, then auction them off as well as collecting the covers in a book to raise funds. 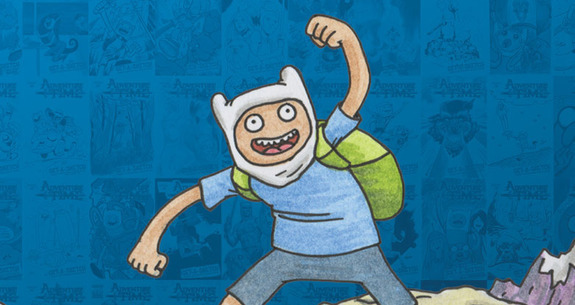 I've done several, including Adventure Time - and my cover made the cover! This comes out in May, and hopefully I'll make it to the release party here in Chicago at Challengers. Not too long ago, I went down to the Threadless HQ here in Chicago to be part of DemocraTee, where a bunch of local artists collaborated on drawings to be used as designs for shirts and other items. It was fun, lots of random silliness like adding this little cowboy to a larger drawing. The items are now up for sale on Threadless, with proceeds going to local arts charities.